Feb 2008: West Coast Symphony Orchestra performs works of Shostakovich and Tchaikovsky. Mar 2008: West Coast Symphony Orchestra performs The Creation of Haydn. April 2008: Royal City Musical Theater performs Bernstein's, West Side Story. April 2008: Wyndham Brass Quintet annual concert. If you insist on knowing something nonmathematical, then here are some links to places I play. 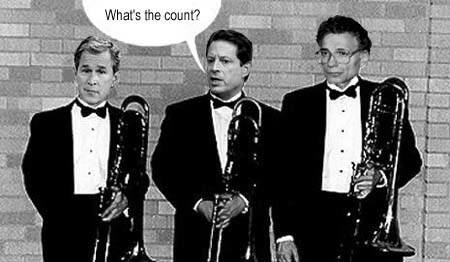 I have performed on the trombone, at various technical levels, since I was nine years old. I joined the union (AFofM) at age 15 and had a brief symphonic career while I was studying more serious things. I did the first three seasons of the National Youth Orchestra of Canada. 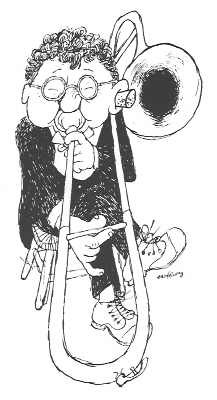 I was principal trombone with the Hamilton Philharmonic for five years and, for three summers, with the Stratford Festival Orchestra. With the latter I did the North American premiere of the Brecht-Weil opera Mahagonny. I played under some of the best (and worst) conductors. In the former category I include memorable and rewarding experiences with Seiji Ozawa, Mario Bernardi, Victor Felbrill and Sir Wilfred Pelletier. In the latter category, well ... De mortuis nihil nisi bonum. I currently play regularly with a number of local community symphony orchestras and some hot (and not so hot) jazz bands. My brass quintet (The Wyndham Brass Quintet) plays at many local functions and gives yearly concerts to small, but encouraging, audiences. 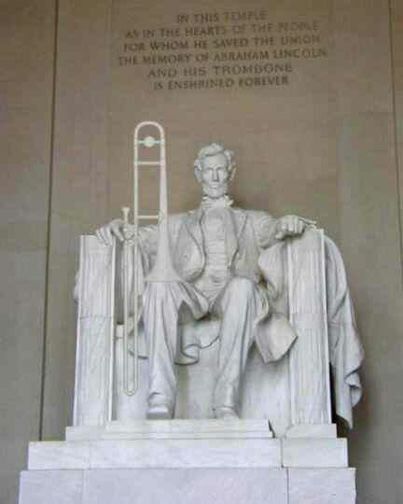 "In my opinion, the Trombone is the head of the family of wind instruments, which I have named the " epic" one. It possesses nobility and grandeur to the highest degree; it has all the serious and powerful tones of sublime musical poetry, from religious, calm, and imposing accents to savage, orgiastic outbursts. Directed by the will of the master, the Trombones can chant like a choir of priests, threaten, utter gloomy sighs, a mournful lament, or a bright hymn of glory; they can break forth into awe-inspiring cries and awaken the dead or doom the living with their fearful voices."